As a child, Kailee was full of energy, and eager to learn. This enthusiasm led her to study Marketing Management at Kwantlen Polytechnic University. She supplement this learning with geospatial training at Esri—where she also worked. 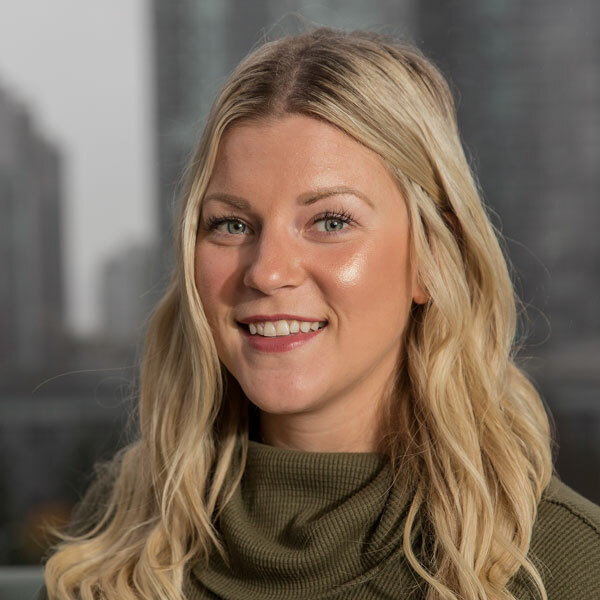 Focused on geospatial for over 7 years, Kailee joined Sparkgeo in 2017. She cites Sparkgeo’s energetic culture as one of the things that won her over. Additionally, she’s motivated by the company’s growth aspirations—and openness to remote working. Kailee enjoys how Sparkgeo allows her to collaborate with so many different people. She also likes how there’s always something new happening here. The Maptiks product is particularly motivating for Kailee, who relishes being an integral part of its team. Ask Kailee what most excites her, and she’ll come back to Maptiks. She’s a believer in the software, and has witnessed first-hand the ways it benefits users. (For example: Learning which maps are most popular; Seeing how users engage with maps.) She likes that Maptiks gives insight into what used to be a “black hole”. Kailee most values working with early adopters—and appreciates that they aren’t afraid to try new things. She’s a people-person. This drives her to help clients use geospatial insights to make real-time decisions, analyze trends, and improve processes. Kailee challenges herself to be her best. When away from work, she participates in yoga, bootcamp, hiking, cooking, gardening—and spends time with her husband and family. Kailee also loves travel. If she could go anywhere, right now, she’d choose Prague, to take in the historic architecture.